Shelu Abapo- June 10, 2017, 5:27 p.m. 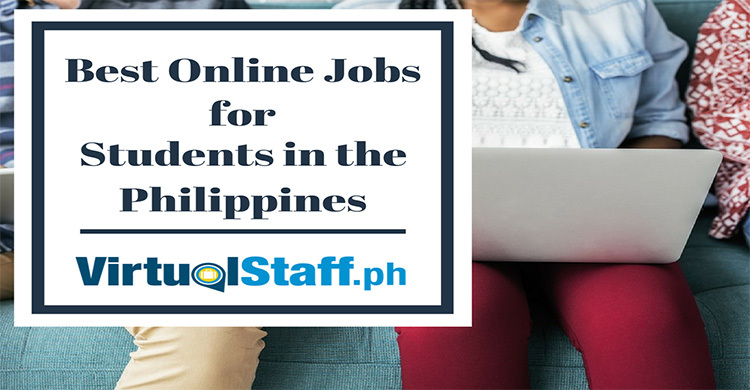 This article shows you the best online jobs for students in the Philippines. Are you a full-time student with some hours to spare for a part-time job? Do you wish to earn extra money for your books and other academic materials? Perhaps you want to help defray the expenses of your education with the flexibility of being able to work from home? If yes to any of the above, then being hired for an online job is the perfect match for you. More Filipinos now have access to the internet and social media than ever before. I mean, here in the Philippines if you're like me, you're a social media fanatic! Some students are wondering if they are able to work part-time through the internet. Fortunately, many companies and entrepreneurs abroad have outsourced tasks and jobs and transformed these to online jobs whereby Filipinos, professionals, and students can be hired and earn money. Data Entry - Apply for online jobs either part time or full time as a data entry assistant. What is a data entry assistant you might be wondering? It's simply an online job that requires you to handle online data and enter it into spreadsheets and documents etc. Writing- If writing is your strong suit and you have a very good grasp of the English language, then there are many writing jobs available for you online.I myself and many of my classmates at the Ateneo De Davao University work part time online jobs as writers. You'll be tasked to write about different topics which may or may not need technical expertise. You will also often write for a company’s blog or website. If you’re lucky enough to score a company which allows you to contribute your own ideas, then your creativity can be put to good use. Choosing this type of online job is very simple and easy and you will earn good money for the creative ideas and content you submit to your clients. These are among the most common online jobs Philippine students can be hired for. What Philippine students should remember is that they should verify the sites and platforms they encounter when looking for online jobs. A very good site would be virtualstaff.ph. Many employment opportunities are found on this site and many companies utilize this site to advertise their available jobs. It would also be helpful for Philippine students to have a PayPal Account or AlertPay Account and to know other payment schemes involved in doing online jobs. Lastly, ensure your safety when doing online jobs. Avoid sites which will scam you or will put you in danger in the long run!